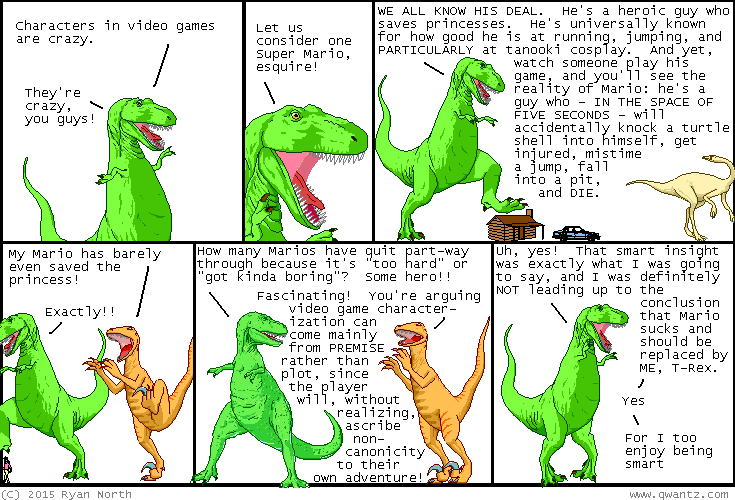 Dinosaur Comics - May 15th, 2015 - awesome fun times! May 15th, 2015: This comic comes out of a conversation I had a TCAF with Karl Kerschl, Dave Kellet, and Fred Schroeder after we agreed not to talk about comics so talked about video games instead. They are classy (AND ALSO REALLY TALENTED) people!